The Asia-Pacific cleanroom doors market will generate more than half a billion in revenues by 2024, growing at a CAGR of 5.4% during the forecast period. The Asia-Pacific market is primarily driven by the technological advancements in the industry, high demand from the growing pharmaceutical and medical device industry, increasing demand for aftermarket services. With the increasing regulatory compliances in the region, the demand for cleanroom swinging, sliding and roll-up doors are anticipated to create huge demand in the coming years. On the basis of product, the market is categorized into swinging doors, roll-up doors, sliding doors, and others. Swinging doors hold the largest share in the market and are also anticipated to witness considerable growth during the forecast period. Different companies are proving customization services in terms of manufacturing the doors based on material, panel designs, interlocking systems. This offers buyers with the desired product, which meet their CGMP guidelines, thus fueling the growth of the Asia-Pacific cleanroom doors market. There is two modes of application in the market which includes new construction and aftermarket. 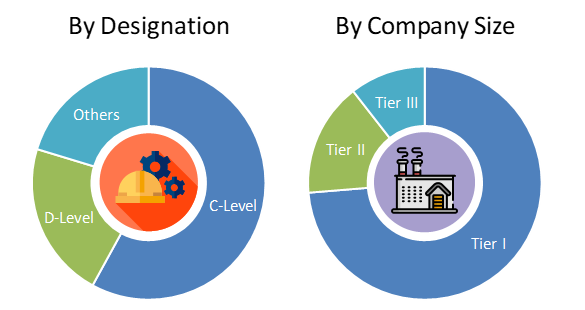 New construction mode of application account for the larger revenue share in the Asia-Pacific market and the aftermarket of cleanroom doors is anticipated to witness higher growth in demand during the forecast period. Academic research institutes and laboratories, biotechnology, pharmaceutical, and medical device industry, hospitals, and diagnostic laboratories are the major end users of cleanroom doors market. Biotechnology, pharmaceutical, and medical device industry altogether account for the largest demand for cleanroom doors across the healthcare sector. Pharmaceutical and medical device companies have to comply with goods and manufacturing practices set by the regulatory authorities, thus leading to high growth in the cleanroom doors market. 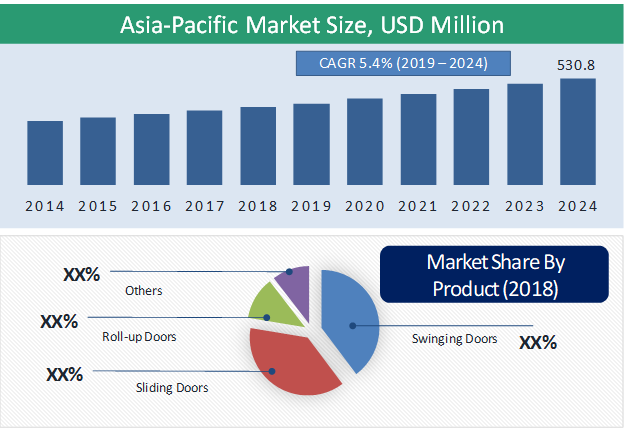 Increasing prevalence of infectious diseases, government initiatives to develop healthcare infrastructure and high growth of the medical and pharmaceutical industry in the region are the key growth drives for the Asia-Pacific cleanroom doors market. Moreover, the high prevalence of hospital-acquired infections (HAIs) in Asia-Pacific is leading to more stringent norms regarding the cleanroom in hospitals. Healthcare providers in the region are now adopting technologically advanced, and automatic door systems for their cleanrooms. This is anticipated to create huge demand for cleanroom doors in the region in the next few years. The fluctuating raw material prices, high cost of advanced door systems and difficulty in implementation of regulatory standards are some of the key challenges for the growth of cleanroom doors market. In Asia-Pacific, several local players are competing with global players by providing low-cost doors. However, high regulatory compliance and stringent manufacturing processes create challenges for local players to compete against global players with years of experience and advanced technology. Geographically, Japan is the largest cleanroom doors market as in the country has advanced healthcare infrastructure, high regulatory standards and high emphasis on high-quality products. These factors lead to the high demand for cleanroom doors in Japan across the life sciences industry. Moreover, the developing nations in Asia-Pacific such as India and China are witnessing huge demand for these doors across healthcare sectors. Increasing healthcare expenditure, growing medical device and pharmaceutical industry, and increasing regulatory compliances in these countries will lead to an increase in demand for these doors in these countries. Local manufacturers in these countries are also catering to the demand in the market by providing the low-cost product within these countries. Gandhi Automations Pvt Ltd., Dortek, GMP Technical Solutions Private Limited, ASSA ABLOY, Terra Universal Inc., ASI Doors Inc., Nicomac Srl, Rite-Hite, Avians, Chase Industries, Inc., and EFAFLEX are the key players offering cleanroom doors in Asia-Pacific. 12.2. Gandhi Automations Pvt Ltd.
*Financial insight, are subject to availability of information in the secondary domain. Table 48 Snapshot – Gandhi Automations Pvt Ltd.
Table 52 Snapshot – Terra Universal Inc.
Table 53 Snapshot – ASI Doors Inc.